It knows that the girl’s dress is red, by just looking at it. All of His promises in Christ are always yea and amen. Operating in the oida voice of the Lord must be combined with childlike trust. Since you know, that you know, that you know; your faith must be likewise. You must have a faith that anything which the oida voice of the Lord tells you, you know that you know that you know, that not only will God do it, but that in fact He has already done it. Rev 2:17 ‘”Who has an ear, let him hear what the spirit is saying to the ecclesias. “‘”To the one who is conquering, to him will I be giving of the hidden manna, and I shall be giving him a white pebble and on the pebble a new name written, of which no one is aware (oida perfect active) except the one who is obtaining it. 1Co 2:2 for I decide not to perceive ( oida) anything among you except Jesus Christ and Him crucified ( perfect passive accusative). Wonders and signs became through the apostles. Acquisitions and possessions they dispossessed of. Great ability apodidomi the upstanding of the Lord Jesus. 1 Cor 3:10 According <2596> to the grace <5485> of God <2316> which <3588> is given <1325> (5685) unto me <3427>, as <5613> a wise <4680> masterbuilder <753>, I have laid <5087> (5758) the foundation <2310>, and <1161> another <243> buildeth <2026> (5719) thereon. But <1161> let <991> <0> every man <1538> take heed <991> (5720) how <4459> he buildeth <2026> (5719) thereupon. (Literally Paul asks, “Am I going to save myself by earthly efforts? My answer is NO!! I MUST DIE!! ONLY IN CHRIST AND THROUGH CHRIST). The apostolic office is not a ministry, which one chooses for himself or is conferred upon by men. It is a divine summons from the Lord. He or she are divinely picked and divinely sent out. Hence the apostle can have a traveling ministry, and belongs to the body of Christ at large. He or she might not be called to be a member of one particular church but belongs to and embraces the whole body of Christ. Because he or she is divinely summoned, and a divinely appointed ambassadors belonging to Christ Jesus by God’s will, he or she operate with the full credentials of God’s power. These credentials of power however are only manifested in relationship and proportion to how much the apostle operates in the will of God. The fullness of God’s power belongs to the one who operates strictly by the voice of the Holy Ghost in the rhema Word of God. The rhema word of God contains the fullness of God’s faith as well as the fullness of His power. The apostle is of no consequence or importance. Acts 20: 24 tells us that he did not hold his life in honor, dear, or precious to himself so that he may finish the course of the Lord. The one giving the apostle the commission, the Lord, is the one who is of consequence or of importance. The apostle is nothing more than an ambassador of the one who sent him. He or she is forevermore under orders to execute what the Lord wants. That is their lives. No one can be sent except the one who is under orders. The apostle must be in constant submission to the Lord. The apostolic ministry promotes obedience to the gospel, and through it makes disciples amongst all the nations. The gospel must be testified to in such an accurate way by the apostle that it will have the power to promote obedience to others. True apostleship can only begin with the revelation of the Son of God. This is because for every individual, the revelation of the Lord automatically carries with it the callings, ministries, and giftings for each individual person. All resides in the Son of God. The apostle can only promote obedience to the gospel to the extent that they are themselves living in accordance to it. Mat 10:40 He that receiveth you receiveth me, and he that receiveth me receiveth him that sent me. Greek: To welcome with open arms i.e. receive with hospitality. The reception that the apostle receives is in fact the reception given to the Lord Himself. This is because the apostle always lives and acts in accordance to the voice of the Spirit through the rhema word of God. A hospitable welcome given to the apostle is a hospitable welcome given to the Lord whose rhema word the apostle is executing. The called apostles must realize that the Lord must whittle down everything in their lives to the point that nothing else is left but their living their lives out of God’s rhema word. This is what gives the apostle his or her experiential oneness with the Lord and makes them fit to be ambassadors of the Lord with the backing of His full credentials. As we had studied last time, the rhema word of the Lord is the FAITH OF GOD. To live out of the faith OF GOD, the Lord must take the apostle through a season of material want and lack that will take number of years. This will get the apostle to a place where she or he learn to live strictly out of the rhema word of God and not out of the appearance brought by circumstances. Herein lies a signs and wonders ministry. The rhema word of God gives to the apostle the Lord’s credentials in that the rhema word of God represents the desires, the faith, the power, and the timing OF GOD HIMSELF. Greek ; He that is making light of, or is despising you, despises me. He that is paying attention to what you are saying pays attention to me. The apostle must live in a continual state of obedience to the Lord. He or she must live in strict obedience to the rhema word of God so that when they are rejected it is in fact the Lord who is being rejected. The opposite is true; when the apostle is being listened to, it is in fact God’s rhema word, which is being listened to. Hence the Lord Himself. The apostle is no consequence or of importance. The rhema word of God is the revelation of the Son of God. Greek: The apostle or the one sent on an apostolic mission lives moment to moment through the Father who does the works. Greek: The apostle, or the one on an apostolic mission, is birthed from God and lives continuously out of God just as a tree must live out of its roots. Not only is their ministry birthed from God, but also their constant presence in this world must be accomplished out of this same dependency. The apostle therefore lives in utter dependency upon the Lord. The apostle has been broken by the Lord and lives out of the strength and the power of God. There has been a death to his or her ability to overcome, so that their overcoming now comes through the revelation of the Son of God. The apostle’s work originates in God. It is consequently done with the full authority of God and in signs and wonders of the rhema word. Greek: It is the priority in this case, or it is always necessary that we obey God rather than men. The apostle is called to obey God rather than men. He or she cannot be men pleasers. One reason for this is that the rhema word of God most times goes contrary to reason, logic, and the flesh of men. Greek: It is not pleasant or agreeable that we would leave, abandon, or forsake the word of God. This is part of the apostolic commission. Greek: But we will steadfastly without pause adhere ourselves to prayer, and to the office of the Word of God. The apostolic commission. He therefore threw into disorder and the perplexing of mind the enemies of God through the display of God’s power. The opponents of God had absolutely no inward strength of spirit to take a stand against Steven. This is the resurrection power abiding in the apostle. Please remember, the rhema word is the only thing that the apostle has left when he or she has lost everything else for the sake of the Lord. The voice of the Lord is all that is needed. Acts4:33 And with great power gave (discharged their responsibility, debt or duty) the apostles witness(martyrdom) of the resurrection of the Lord Jesus: and great grace was upon them all. One of the calls of the apostle is to give witness of the resurrection of the risen Christ. The Greek word for witness is martyrdom. True resurrection witness of the Lord can only come through the death of ourselves which brings the resurrection of the Son of God. The apostle gives back the witness of the resurrection as something that is simply his or her obligation or duty. The Greek word “gave” tells us that it is in fact the apostle’s responsibility or debt to give witness of the revealed Son of God. In other words this is the “normal realm of function” for the apostle. An apostle does not get their ministry, calling or ordination from men. He or she are not raised up by men but by Jesus Christ. Thusly the apostle cannot please men outside of God’s will, but must always please God who chose and raised him or her up. Not pleasing man, but a bond or love slave of God. The apostle can proclaim the will of God, because he or she live strictly out of the will of God. With the promise of resurrection life goes the provision for its proclamation. Hence the apostle in proclaiming Christ’s power and life must be an ambassador of the life of Jesus. In other word he or she must live in the resurrection life of God, which comes forth from the death of Christ’s cross, which has touched everything in their lives. The apostle lives in accordance with God’s level of faith for His saints. God’s level of faith is His rhema word. Therefore the apostle lives out of God’s rhema word. He or she must also live in conformity to the full scope of the Word of God. These two things together promote r godliness or being “God like”, which is one mission of the apostle. Secondly, the apostle reveals to the church an accurate witness of the Word of God found both in the logos and rhema word. This allows the saints of God to participate in the truth of the Word, which will produce godliness in their lives. if by any means I may provoke to jealousy them that are my flesh, and may save some of them. Greek Scriptures: Inasmuch then as I am an apostle to the nations, I do my ministry honor, or I lay much stress in magnifying my office, or I continuously glorify my ministry. Herein lies one of the commissioning of the apostolic calling. (We must remember that the conscience of man is a component of the voice of the Holy Spirit. Paul here says, that the soundness of the apostle’s doctrine and the genuineness of his or her life in accordance to the gospel must be so great, that it must hold up to the scrutiny of the voice of God bearing witness or passing judgment to what the apostle ministers in their hearer’s consciences. Secondly, the apostle must also deal with the scrutiny of God Himself, whose penetrating look is ever upon the apostle. Another doctrine of man is taking and corrupting the Logos Word of God and making it into a denominational tenet, principle, or dogma. The denominational tenet then becomes the idol, in that any rhema word coming forth as the will and the voice of the Holy Spirit in opposition to the denominational dogma is categorically denied. The doctrines of men are also the spiritual and psychological teachings of man, which deny the Lordship of the Lord Jesus Christ. Hence, the current mass quantity of doctrines and books about angels. Cor 9:1 Am I not an apostle? am I not free? have I not seen Jesus Christ our Lord? are not ye my work in the Lord? Furthermore, I believe that the seal of apostleship is defined in these two ways. The believer as mentored by the apostle, is first brought to a place of adequate spiritual freedom as he or she grasps the liberty brought to him or her by the revelation of the mystery of the gospel, as the apostle teaches it. As the disciple begins to grasp whom he or she is IN CHRIST, the apostle introduces the fellowship of the mystery; assisting the disciple to discover his or her office, callings, and spiritual gifts so that the disciples in turn can do the work of the ministry. Indeed the signs of an apostle were worked out in the realm of all endurance; both by signs and wonders, and works of God’s dunamis (miracles). Most of us desire to be used in powerful ministries of signs and wonders were the sick get instantaneously healed, and demons are cast out with one single word. Such is the case sometimes, and such should also be our level of faith. It is my experience however that many a time, miracles, and signs and wonders, take place in the realm of lack, where all dependencies and resources are whittled away and nothing remains but God Himself. Then we see the Lord manifest Himself in the sphere of signs and wonders. The apostle has nothing else to fall back upon; except the Lord Himself. Such miracles are brought forth in the realm of patience, uncompromising obedience, and hardship. Signs and wonders are the manifestation of God to the person whose circumstances are dead, and in where resources want or lack, and where the sole trust is in God’s rhema word. Through obedience, patience, waiting upon the Lord, and the adopting the ways of God, the signs of an apostle were wrought among you in all patience. The apostolic calling to those who are destined to be God ambassadors. As His representatives, apostles are called to be a portrait or a painting of God’s ways, will, and timing upon the earth. The Lord allows the apostle to go through the humiliating and frustrating circumstances of being last so all that does not represent the voice of the Lord, His ways, and His timing, are taken out of the way. 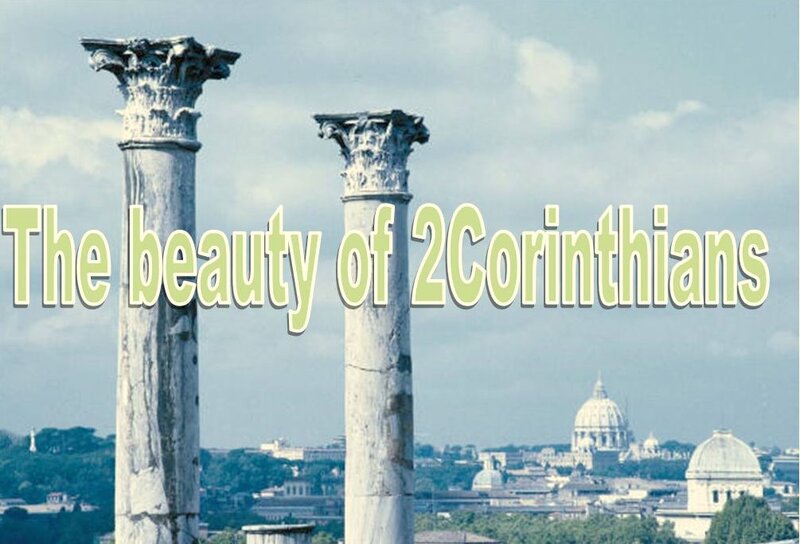 The apostolic calling bears with it the spirit of 1Corinthians four and nine. The apostle is “doomed to die”; though in most cases it is not a physical death. One of the greatest and most painful deaths is the death to reputation, as the apostle becomes the Lord’s ambassador. Reputation is sure to be lost, because the ways of God found in His rhema words, are an abomination in the sight of unsaved man. A walk of genuine faith, which is produced by the rhema word of God, which in turn is the faith of God, is the only spiritual atmosphere in which we will learn to operate in the miracle working power of God. As I have stated before, one of the reasons why the American church is so weak, and there is such an absence of the manifest miracle working power of God, is that we do not walk by faith. The Lord engineers all of this in the apostle’s life, as He whittles him or her into a walk by the simple rhema word, and continuously humbles them so that they only walk in His ways. Ambassadorship requires living by God’s rhema word and conforming to His ways. Only then can there be true a representation of the Lord here on earth. 1 Corinthians four, ten through thirteen describes more of this refining process through which the apostle suffers the loss of all things and finally finds the resurrected Christ within, to the reveal Him and display His ways. Greek: We did not make use of the different rights afforded to us by the gospel as apostles of the Lord Jesus Christ. Some of these rights include having a Christian wife and getting our income from the gospel. (Please study the preceding verses above this one.) We do not make use of our rights, but instead put up with all things so as not to impede the pioneering progress of the gospel. I am not seeking your possessions, I am seeking you (the person). spent To exhaust by spending; To spend oneself totally up for the individual and for the sake of the gospel. Nor scrip(a traveling bag for provisions) for your journey, neither two coats, neither shoes, nor yet staves: for the workman is worthy of his meat. dependency upon the Lord and the “loss of all things” is the source of all apostleship or ambassadorship. The loss of all things purifies the believer from all until he or she begins to live solely out of God’s presence. Utter dependency on the Lord becomes utter dependency on the rhema word of God. Utter dependency on the rhema word of God bounds the apostle to learn and limit his or her life strictly to the ways of God. Both of these things bring the apostle into oneness with the Lord and equip him or her for ambassadorship with the full credentials of the Lord power. American believers live just the opposite to this. We lean on money, a host of personal insurances, guarantees, warranties and comforts. Our dependency on them is our independence from the voice of God and the manifested presence of God. Hence our powerlessness! The restoration of the apostolic walk must come forth in this country, at least amongst prophets and apostles. Called apostles, cannot operate as apostles if they do not have an experiential understanding of Matthew chapter ten. I personally would like to have a lot more money than what I currently have. Our intentions, for one, are to give freely into Native American ministries who desperately need it. However, if the need is to continue to operate in the walk depicted in Matthew chapter ten, though considerably more difficult and not always enjoyable, we must continue to do so. This walk is one which is full of the miracle working power of God and which amply displays the ways of God. The apostle is of no concern in all reality. His or her ministry is not one of exaltation but one of being continually humbled either by seasons of material lack, or by the stringent limits placed upon their lives by the boundaries of the rhema word of God. Our experiences have borne this fruit into our lives. Lack of material resources for over four years have taught us to live by the resource of the rhema word. Our financial lack for these years has been a real struggle. I am learning not to doubt God for resources. The struggle is not with the material provision, but has been with the Lord Himself. Many times, it has been for me very difficult for to deal with the seemingly illogical and irrational decision by the Lord, to keep me in such financial circumstances when I have known that I could with relative ease do financially better for my family. Yet through God’s painful dealings, I have found His wisdom. If we are to learn and operate in the sphere of God’s way, our ways and our will must be laid down. Apostleship, and ministry in the fullness of God’s power, is solely energized in God’s ways. An apostle is divinely summoned and divinely appointed ambassador belonging to Christ Jesus. The formation of the apostolic office comes as the apostle learns to do everything through the will of God. An apostle is the product and a vessel of God’s will, ways and timetable. The apostolic office is not a ministry, which one chooses for himself or is conferred upon by men. It is a divine willed by the Lord. He is divinely picked and divinely sent out and his life is result of the will of the Lord. Through the agency of God’s will. The apostle called to be an apostle has no other choice than to fulfill his through the will of God, in that it is the agent or vehicle for the apostolic ministry to be executed successfully. The apostle himself does not matter but the one giving him the commission, the Lord. The apostle sacrifices all programs and agendas to become a vessel of God’ ways, will, and His timetable. Thus the apostle becomes an ambassador or a representative of the Lord. With the apostolic proclamation of the resurrection life which is in Christ Jesus there it the promise and ability for us to live in this quality of life right now? This is fellowship of the mystery. The apostle can only proclaim the life of the resurrected Christ to us to the degree that he lives in it. The apostle stimulates and promotes the faith of God’s chosen ones. The stimulation of this faith is to make others thirsty for the Son of God and not just simply for the blessings, prosperity and other things that come from God. In accordance with the faith of God’s chosen out ones as a precise and full knowledge of the truth, which is in accordance with godliness towards God. He leads the saints into the accurate discernment, recognition and participation of the truth, which belongs to and harmonizes with what tends to godliness. He must live in that accurate recognition and participation of these very truths. The apostle does not matter who sent him and His mission. The emphasis on the commissioning is the author. The sent by the Lord should be as the Lord Himself. The commissioning to represent Jesus and His cause means humiliation rather than exaltation. The apostle has no personal influence on how his ministry will turn out. He is brought under the will of God who destroys his autonomy and leaves the apostle with no other choice but to a full and obedient dedication to the will of God and a military walk to the voice of the Spirit. A spectacle unto the world. Greek: A theatre unto the world. The apostolic calling to those who are destined to be God ambassadors. As His representatives, apostles are called to be a portrait or a painting of God’s ways, will, and timing upon the earth. The Lord allows the apostle to go through the humiliating and frustrating circumstances of being last so that he is whittled away from all that does not represent the voice of the Lord, His ways, and His timing. 1 Corinthians 4:13 Being defamed, we intreat: we are made as the filth(As soap being rinsed off from dirty plates) of the world, and are the offscouring(scrapings of food thrown away) of all things unto this day. The Lord engineers all of this in the apostle’s life, as He whittles him or her into a walk by the simple rhema word, and continuously humbles them so that they only walk in His ways. Ambassadorship requires living by God’s rhema word and conforming to His ways. Only then can their be true a representation of the Lord here on earth. 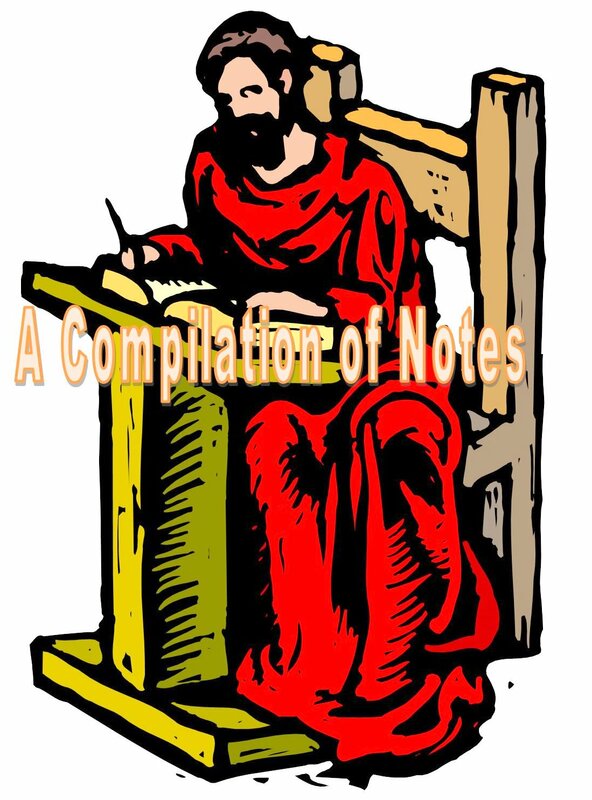 Paul here says, that the soundness of the apostle’s doctrine and the genuinenesss of his or her life in accordance to the gospel must be so great, that it must hold up to the scrutiny of the voice of God bearing witness or passing judgment to what the apostle ministers in their hearer’s consciences. Secondly, the apostle must also deal with the scrutiny of God Himself, whose penetrating look is ever upon the apostle. If Paul goes beyond the bounds of normalcy it is in his highest devotion towards the Lord; but on the other hand wisdom and prudence towards his disciples. Spent: To exhaust by spending; To spend oneself totally up for the individual and for the sake of the gospel. ness, yet he liveth by the power of God. For we also are weak in him, but we shall live with him by the power of God toward you. As I have taught, the works of the Father are translated into rhema words. The apostle must continuously discern and carry out the rhema word. That is the apostle’s whole objective in life. Utter dependency on the rhema word of God bounds the apostle to learn and limit his or her life strictly to the ways of God. Both of these things bring the apsotle into oneness with the Lord and equip him or her for ambassadorship with the full credentials of the Lord power. His ministry is not one of exaltation but one of being continually humbled either by seasons of material lack, or by the stringent limits placed upon their lives by the boundaries of the rhema word of God. . The greatness of the apostle and the prophet is found in how faithfully he or she restrict their lives to the accuracy of rhema word of God. He that has seen me with discernment has seen the Father. Greek:To welcome with open arms i.e. receive with hospitality. Mysteries for one, are doctrines of God which are brought to life through revelation knowledge and are bring out the scriptural patterns of God’s kingdom. Eph 3:4 Whereby, when ye read, ye may understand my knowledge in the mystery of Christ). Bring forth the dispositions of God according to His grace. Ephesians chapter three verses eight and nine guides us a bit deeper into the supremely significant importance of the apostolic and prophetic revelation of Christ our mystery. As we have discussed before, the Person of Christ contains within Himself all of the treasures and riches of who God is, and of what He possesses. These treasures, the Greek scriptures tell us, are undetectable, un- searchable, and unreachable through all of our fleshly efforts. Only through a spirit of revelation into the mystery of the Person of Christ can these treasures be manifested out to the body through the preaching of the gospel. Verse nine tells just this. Part of Paul’s apostolic/ prophetic ministry as described in verse eight and nine, is to not only reveal theses undetectable riches. In verse nine he goes on to tell us that the purpose of this revelation is to make everyone else within the local body aware as to what is their part, participation, share, and calling into the riches of Christ is. Leads them into the accurate discernment, recognition and participation of the truth, which belongs to and harmonizes with what tends to godliness. He must live in that accurate recognition and participation of the truth. With the promise of life goes the provision for its proclamation. Hence the apostle in proclaiming you shall live through Christ is an apostle according through the very proclamation of this life. Greek: Hold fast the outline or pattern of healthy words…in a world that belongs to faith and love. 2 Timothy 1:13 Hold fast the form of sound <5198> words, which thou hast heard of me, in faith and love which is in Christ Jesus. Titus 1:9 Holding fast the faithful word as he hath been taught, that he may be able by sound <5198> doctrine both to exhort and to convince the gainsayers. 1 Cor 9:1 ¶ Am I not an apostle? am I not free? have I not seen Jesus Christ our Lord? are not ye my work in the Lord? The apostles and prophets are both exclusive bearers of revelation. The prophet’s revelation is progressive while the apostles can operate in complete revelation based on the written word of God. Which shall prepare Literally who will lay down all of the needed gear, utensils and equipment at another’s disposal.” In this case, we furnish the Lord with a crucified life that will allow Him to operate in His wisdom and prudence through us. Thy way is in the Greek accusative case. The accusative case points out an object or goal. The goal God’s servant is to embrace and execute God’s very unorthodox methods within the limits of His prolonged time schedules. My friend this is the key to becoming a revivalist! To set straight besides or after. To arrange what was left behind after Paul’s departure. Epidiorthoo .To what still remains to be set in order. Greek (paraphrase) I athletically agonize to always respond to God’s rhema word that contains God’s energy to make it come to pass, and if which I obey, will give me the victory as its energy is successfully carried out into the external world as a miracle. The apostle Paul always categorizes apostles and prophets together. They are in the same class because their revelatory functions in many ways are similar. Ephesians chapter three, verses four and five tells us that apostles and prophets have been specifically called to a ministry of revealing the mystery of God, which is the person of Christ into a local body. Though every believer has been called to reveal the Person of Christ through their ministries, the revelatory anointing in apostolic and prophetic people is especially emphasized. When the prophetic flow is curtailed or prohibited in our assemblies, we in fact cut our own necks off. The revelation of the Person of Jesus Christ is crippled at best. Mark 6:30 ¶ And the apostles gathered themselves together unto Jesus, and told him all things, both what they had done, and what they had taught. John 7: 18 He that speaketh of himself seeketh his own glory: but he that seeketh his glory that sent him, the same is true, and no unrighteousness is in him. In absolutely no way from the calling, ordination or authorizing of men. No through their assistance, support, influence, or the open doors that man can provide. Paul, an apostle not from men as a source. Not raised up by men but by Jesus Christ. o He or she can proclaim God’s commandments, because the apostle lives strictly out of the commandments of God. The apostle does not matter, but He who sent him and His mission. The emphasis on the commissioning is the author. “The apostle has no personal influence on how his ministry will turn out. He is brought under the will of God who destroys his autonomy and leaves the apostle with no other choice but to a full and obedient dedication to the will of God and a military walk to the voice of the Spirit. Our sufficiency and ability and our qualifications is not found in ourselves as a source but only in God, his grace and power are its root sources. To rot thoroughly, being disabled or being brought to decay, consumed, or ruin. If we are out of our minds; out of our wits or insane. If Paul goes beyond the bounds of normalcy it is in his highest devotion towards the Lord; but on the other hand shows wisdom and prudence towards his disciples. Utter dependency on the rhema word of God bounds the apostle to learn and limit his or her life strictly to the ways of God. Both of these things bring the apostle into oneness with the Lord and equip him or her for ambassadorship with the full credentials of the Lord power. It comes to say that the apostle is used within church to bring the church into the comprehensive participation of what that it has been called into by God. Progressive acquired knowledge of the Word by being a student is essential. Not knowing the scriptures makes us ignorant. The devil preys on that. The greatest sin in the church today is a lack of the foundation of the Word of God. So much of what the devil does in in the thought life. He himself has a though life and attacks the thought life of the believer. 2Co 11:3 But I fear, lest by any means, as the serpent beguiled Eve through his subtilty, so your minds <3540> should be corrupted from the simplicity ( haplotes- uncompoundedeness, singleness and “one focuseness’ ) that is in Christ. The perfect tense in this verse; A door that had been completely opened for Paul in the past by God with the effect that it still remains opened. The passive talks about existence and reality. Paul lived in a reality and ministry that a door from the Lord remained opened for him. We never have to struggle to have God open up a door for us. As we obey and mature not only does He open a door and but keeps it opened for us. Triumph is in the present active tense. It should that our life is one of continual triumph through our obedience in Christ. 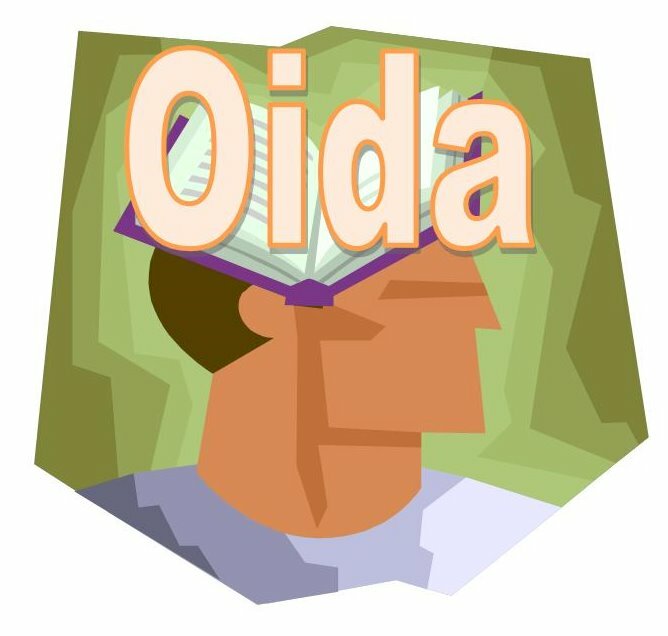 Odor of His knowledge is progressive step by step knowledge. This stresses to us the importance of becoming students of the Word. A student acquires by progressive knowledge. Only one who can acquire by progressive knowledge can release the progressive knowledge of God. The dative case talks about location and the influence that being in that location effects. In The Anointed we are a fragrance to God. The more time that we spend in the location of The Person of Christ, the more that we become a fragrance of Him to God. There are two types of people. As I told you, the passive talks about reality and existence, it talks about condition. Either and individual’s reality is that he is being saved daily or his reality is that he is being destroyed daily. There is no middle ground. 2Co 2:16 to these, indeed, an odor of death for death, yet to those an odor of life for life. And for this who is competent? To those who obstinately reject the gospel, the gospel is an odor of death into death, or of death that continually leads into more death. The condemnation of forebodings of hell for those who reject Christ. Sincerity : Helikrinos; judged by the rays of the sun as passing through a window pane. When our lives are clean our souls are like a clean window by which the sun can pass. When dirty, we know the effect. The giftings ministry and calling of Christ has being already once and for all completely engraved in each believer’s heart. We need to find out what it is and manifested by obedience and faith. Everybody around you progressively gets to know Christ as you display your ministry. 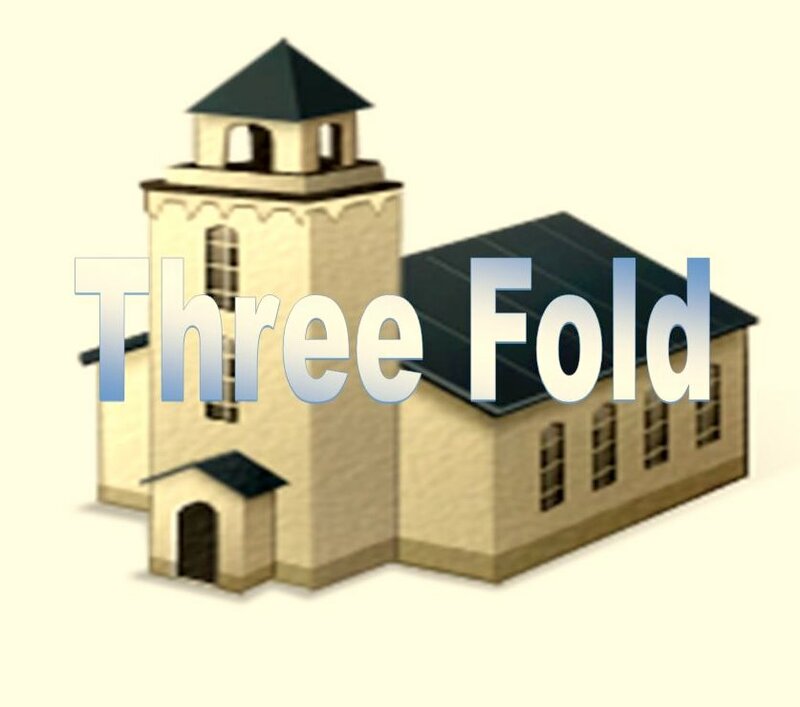 This is a church that has attained to a same level of understanding and discernment within its parishioners. Active discipleship, healing, and equipping of the saints produced this. Consequently this congregation now operates within the same opinions, purposes, resolves, and decision making. Philippians 1:27 Only let your conversation be as it becometh the gospel of Christ: that whether I come and see you, or else be absent, I may hear of your affairs, that ye stand fast in one spirit, with one mind striving together for the faith of the gospel. Literally a “one soul” church. The spirit of sacrifice and agape love, which is always divine and sacrificial in nature, has controlled this congregation. The whole assembly with one will, and one set of emotions, athletically agonizes for the faith of the gospel. Acts2:46 And they, continuing daily with one accord in the temple, and breaking bread from house to house, did eat their meat with gladness and singleness of heart. Literally “the one burning passion church”. One accord is a political term that denotes a unanimous decision or vote for one candidate. A political party puts all of its support behind its man or woman. Multitudes raise their hands to vote the same way, because of its harmony of heart, and zeal for their cause. The party sacrifices personal interest in view of the larger cause held by the whole organization. The church in one accord votes for its candidate Jesus Christ, and His cause, and with all passion and ardor follows Him sacrificing all else. · Secondly is our conscience. Watchman Nee tells us that the conscience is a component of or a barometer of the voice of the Holy Spirit. Let us look at what the apostle Paul has to tell us about the conscience. · We use the testimony (of accusing or defending) that our conscience gives to conduct ourselves in this world. 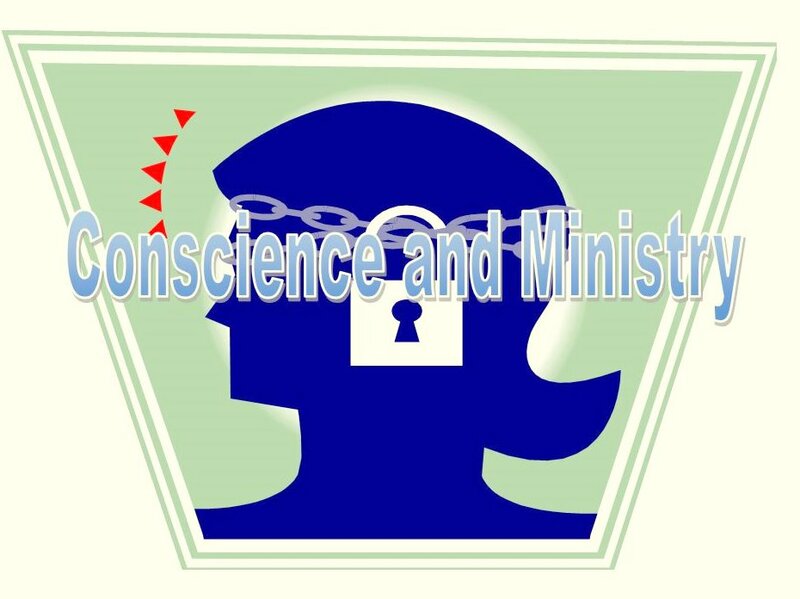 · I thank God whom I render religious service to in a world that belongs to a pure conscience. · The result of turning away from a genuine Spirit led walk of absolute purity. · They not know what they say, or what is the reality concerning the things that they speak with so much confidence about. They are confident in their errors. My friends, this is the definition of being deceived! 10 According to the glorious gospel of the blessed God, which was committed to my trust. · As I always teach, the glory of God is to make the invisible God, visible, to a lost and dying world. Church and ministry can never be about agendas, programs or the likes, but must always aim to make the invisible God visible through them. · We must never seek ministry on our own. We must never seek to raise ourselves up. We only need to seek to be faithful and obedient to the Lord. · Our obedience develops the character of the Lord and allows us to become partakers of His liberty. The Lord entrusts us with His power as He sees that our godly character is being developed to the point that we will not abuse it or be puffed up by it. There comes a day when the Lord sees that we have enough of His character, liberty, and power to be placed into His calling for us. He then raises us up. · God’s ministry must always be executed in His power. If we know little about God’s power we have no business being in ministry. Greek: And the grace of our Lord super abounded along with the faith and love, which reside inside Christ Jesus. · Verse fourteen is the result of Paul being placed into the ministry which he spoke about in verse twelve. As we have discussed before, the grace of God is the Person of the Lord Jesus Christ laboring within us, and accomplishing all in us. Christianity can be defined wonderfully in one single verse, as first taught to me by Watchman Nee. · The Lord “works in” you by His grace. Every work of grace is translated into a rhema word. Every time we obey His rhema word we have “worked out.” That is Christianity! · Every time the Lord works in His rhema word, it carries His measure of faith and power for us to work it out. This is grace. · When we work out without receiving the rhema word we fall away from grace. This is the law. Galatians 5:4 Christ is become of no effect (useless, broken down and non-operational) unto you, whosoever of you are justified by the law; ye are fallen from grace. · Another way of seeing the grace of God can be found in the following verse. · In accordance with the words of prophecy or in the sphere of God’s power found within them, you are to war to ultimate success (God’s) military campaigns and expeditions. · This is Paul’s definition of “faith unfeigned”. · It makes us wonder how the Lord’s battles can be successfully carried out if the prophet and prophecies are not welcomed with open arms in our churches and ministries today? · Verse nineteen are the requirements for the soldier of the Lord as depicted in verse eighteen, if he or she are to carry out successfully the Lord’s military campaigns to utter completion. · Everything must be done by the faith of God, which is always resident within the voice of His Holy Spirit. · A good conscience is a barometer of the voice of the Holy Spirit. It is good because the voice of the Holy Spirit within it bears constant witness that the believer is restricting his or her life to the voice of God within the conscience. · Those believers that thrust away, repudiate and reject the walk of faith, which administers God’s affairs, as well as the voice of the Holy Spirit within the conscience become like a ship that wrecks and destroys itself. 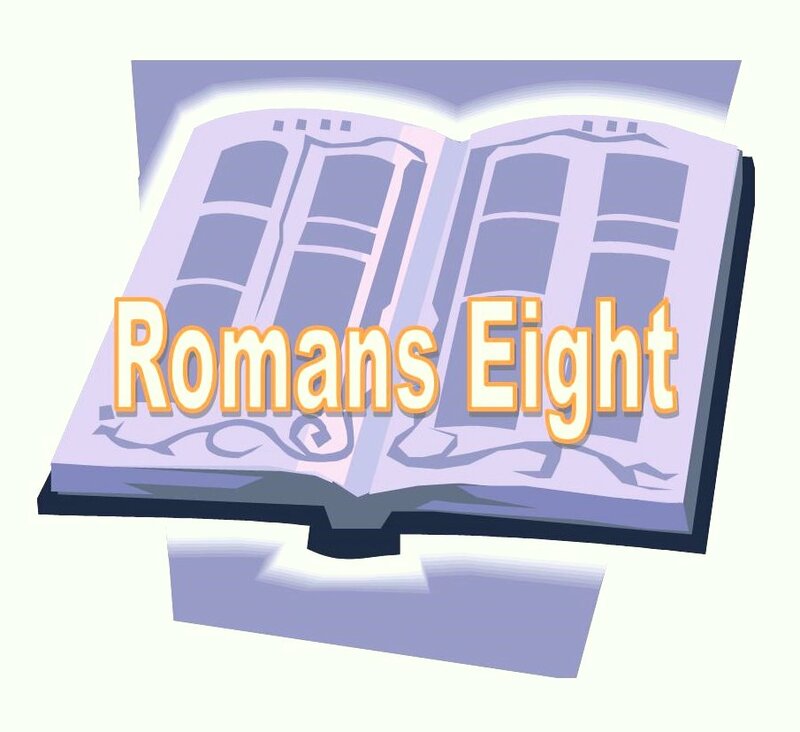 · Finally the person that rejects God and considers Him as worthless becomes Romans one and twenty eight. Greek (paraphrase): Because they did not like to acknowledge God in their thinking as someone that is more precious and valuable than the finest of metals after having an opportunity to do so, God decreed their thinking as failing the test given to a fine metal, rendering their thinking unfit, and worthy only to be rejected and cast away to do those things which are unbecoming. · There comes a point when the person reject God long enough to have their conscience becomes cauterized, numbing its spiritual senses, removing the discernment of God’s voice, and losing the personal consciousness of what is right and what is wrong. Hence all the aberrant form of human behaviors found today. · Go will send them an energizing work of error so that they believe what is false. Doctrines of devils are promoted through teachers that have fallen into error wondering from the truth through their own sins and the influence of demons. Please observe Paul’s order. Seducing spirits, which cause to wander, allow us to pay heed to doctrines of devils. · Speaking lies in hypocrisy; should read – Through the hypocrisy of those that speak lies. · Conscience seared with a hot iron; should read- Branded in their conscience. · When Christians do not know and live by the truth of the gospel that is molded as a pattern of “sound words” (healthy words) they will pay heed to doctrines of devils. · We are brought to believe the doctrines of devils when seducing spirits, which cause the believer to wander from the truth or fall into error, deceive us. · These doctrines are brought about through the hypocrisy of teachers that speak lies. These teachers can so comfortably bring these lies because their consciences have been cauterized through their disobedience to God, so that they can no longer discern right from wrong. · The wrath of God is constantly revealed upon all the ungodliness and unrighteousness of men and women who hold down or suppress the truth of God in the realm of unrighteousness. · Unrighteous living automatically holds back, down, or suppresses the truth concerning God. With every act of unrighteousness there is an automatic suppression of truth. As believers we must be very carefully not to willfully disobey. Every willful act of disobedience on our part suppresses God’s truth to the same measure as that of our disobedience. · Every willful act of disobedience activates or energizes the working of the devil. · Greek: All that humanity can know about God right now is at our disposal because God already made sure that it is all manifested, and prepared for us. (There is no excuse for the existence of agnostics and atheists! · Greek: Having known God, they absolutely refused to glorify Him as God or were thankful to Him. The end result of pushing God away is that their reflections and reasonings about life became futile and pointless, allowing them to fall into deception and make wrong decisions. The end result is that their heart, now void of understanding, became darkened. · Greek- Professing to be wise, they became morons. · Greek: And exchanged the glory of the undecaying and sinless God for the likeness of the image of decaying and sinful…. · Greek: Wherefore God handed them over by the cravings and lusts of their hearts into uncleanness so that they would dishonor their own bodies between themselves. · Greek: Who exchanged the truth about God for falsehood, thus religiously reverencing and serving the created thing more than Him who created it. · Greek: In regards to things of this life that these people make it their goal to have an accurate and full knowledge about, they found God to have failed their test and not worthy of holding the place of one these things. Therefore God handed them over to a rejected mind, which failed His test, to now do these inappropriate and unfitting things. 1 Tim 4: 6 ¶ If thou put the brethren in remembrance of these things, thou shalt be a good minister of Jesus Christ, nourished up in the words of faith and of good doctrine,whereunto thou hast attained. · Being continuously fed on the words, which are made up of faith and find their expression and life by a walk of faith. · Also the “words of faith and of good teaching” are the words, which are in accordance with God’s truth and through which the gospel finds its expression and life. This is our defense against seducing spirits and doctrines of devils. · The practice in the days of Paul was for athletes to exercise almost naked so as to be unhindered as possible for vigorous training. · Godliness is our manner of life, which makes us pleasing unto God. For us to attain to all that the Lord has for us, we must vigorously train in His will, spiritually naked, as to be untangled from distractions, idols, and worldly affairs. · There is big difference between getting saved, going to church and performing religious activities versus that of “laying a hold on eternal life.” To lay hold on, is to grab on to, pull in, and make it our own possession The Lord is never satisfied with our simple conversion and even our faithful attendance in church. He wants us to experience as much of the fullness of eternal life as possible while in our earthly tent, which is to know God through the fullness of the revelation of His Son within our lives. · Literally: “For a little (useful in a few things) is bodily exercise profitable”. Exercising in godliness is useful for everything because it has an eternal impact on the next life and this one. · Of the three Greek versions that are used in our English translations the Byzantine and Textus Receptus say “labor and suffer reproach” while the Wescott Hort says “labor and struggle”. · Our word for struggle is “to agonize.” This is the same word that our New Testament uses for the agonizing efforts exerted in athletic competition. · Labor always implies painful toil with wearisome effort, which sometimes ends up in exhaustion. The bottom line is that in any great work done for the Lord, or with any believer that desires to be greatly used of the Lord, he or she must become aware that this dual satisfaction can only be attained through wearisome spiritual labor and an exhilarating agony in following the Lord comparable to those exerted by Olympic athletes. · One of the greatest onslaughts that Christians face in Western societies is that of complacency, comfort, and prosperity. These three things many times oppose and wage war against the spiritual toil and athletic struggle, which makes Christians into great men and women of God. Christianity in western societies in great part tends to be mediocre at best. · Godliness likewise is only developed in the confines of a spiritual gymnasium. · These things transmit to others and teach. · Paul here commands us to become believers who can leave a mark for other Christians to follow. God desires every one of us to live in such a way that we become a pattern for, or create a mold that others can imitate. · Word – Different things can be inferred from this. The words that come out of our mouths must be wholesome to the building up of others. As Moses was mighty in “word and deed,” we must learn to hear, operate by, and restrict our lives to the rhema word of God. Our doctrine and teaching must follow the healthy words, which make up the gospel, and our life must conform to that doctrine. Spirit – Some translations omit “spirit” in this verse. Faith – Restrict our lives to the voice of the Lord, which is the faith of God. Purity -This word in reality means “sinlessness”. It talks not only about purity in our actions but also in our motives. We realize that it is humanly impossible to be sinless in this life, but our goal should always be to attain this as we labor and athletically strive in the Lord’s calling. Take heed unto thyself, and unto the doctrine: Fasten your attentions to, observe, and attend to yourself first, and to your doctrine second. This doctrine is what you teach. It must be in accordance with the truth of the scriptures and your life must line up with it. The law of God according to the within humanity. The new man who operates in a novel way. The law of the mind and the law of God. The renewed mind within limitation or impossibilities. The law of missing or sin which is in my members warring and capturizing me to law of sin which is my members. Not according to the flesh, but according to the Spirit. That the “righteous effect” or the effect which naturally manifests all that God has for us might be fully filled in us who are walking according to the Spirit and not according to the flesh. The ones being according to the flesh have a mental disposition, focus and objective for the things of the flesh. The ones being of the Spirit have a mental disposition and focus for the things of the Spirit. For the mental focus & disposition of the flesh brings the death process, the mental focus & disposition of the Spirit brings life and shalom peace. Because the disposition of the flesh is hostility and opposition into God. It is not military subjected to the law of God, neither does it have the ability to. So for them that yet exist in the realm of the flesh it is impossible to please God. But you absolutely do not exist in the realm of the flesh, but rather in the realm of the Spirit, if it be so that the Spirit of God is housing or homing in you. Now if anybody does not have the Spirit of the Anointed, this one is absolutely not of Him. And if the Anointed is in you, the body indeed is a corpse through sin, but the Spirit is life through righteousness. If the Spirit of the one raising Jesus out of corpses ones is housing in you, the one raising the Anointed out of the corpse ones, shall be making alive the about dying bodies of you through the housing of Him spirit in you. We are not debtors or those who owe anything to the flesh, to be living according to the flesh. If we are living according to the flesh you are always dying off, but if yet to the Spirit the practices and habits of the body you are putting to the death process, you shall be living. You have not obtained the spirit of slavery again into fear, but you have obtained the spirit of “son placing”, whereby we are crying out with a loud voice, Abba the Father. The Spirit co testifies to our spirit that we are offspring, ( ninos not hijos in this case) ( teknon) of God. For I am counting that the sufferings of this present kairos are not worthy in relationship to the ‘about to be continually uncovered” glory into us. For with anxiously outstretched necks, all created things, the uncovering of the hijos ( huios) or sons of God, are waiting to welcome. Into emptiness and vanity was creation militarily subjected, not voluntarily, but through The One militarily is subjecting it, upon the sole basis of expectation. So that also itself, the creation shall be freed from the slavery of the corruption into the freedom of the glory belonging to the offspring ( teknon/ children/ ninos) of God. We intuitively know that all the creation is together groaning and together travailing even until the now moment. We are groaning, son placing or enjoyers of the inheritance are anxiously waiting to welcome, that is, the total loosening of our bodies. For through expectation we are being saved; expectation that can be observed with the human eye is absolutely not expectation, for if one can observe something, why would he be also expecting it? But if we are expecting the thing that we absolutely cannot observe, through endurance we wait to welcome it. 32 He that spared not his own Son, but delivered him up for us all, how shall he not with him also freely give ( charizomai) us all things? (Hophal): Causative passive tense: to be broken, be shattered. Exo 22:14 When a man asks something from his associate, and it is broken or dies when its possessor is not with it, he shall repay, yea repay. Exo 23:24 You shall not bow yourself down to their elohim nor be made to serve them, nor shall you do according to their deeds, for you shall demolish, yea demolish them and break down, yea break down their monuments. Exo 32:19 And it came to be just as he drew near to the camp and saw the calf and the choruses that Moses’ anger grew hot, and he flung from his hands the tablets and broke them below the mountain. Lev 26:13 I, Yahweh, am your Elohim Who brought you forth from the land of Egypt, from being servants to them. I have broken the slider bars of your yoke and enabled you to walk upraised. Lev 26:19 I will break the pomp of your strength and make your heavens like iron and your land like copper. Deu 12:3 Tear down their altars and break their monuments; their Asherah poles you shall burn with fire, and the carvings of their elohim you shall hack down; thus you will destroy their name from that place. 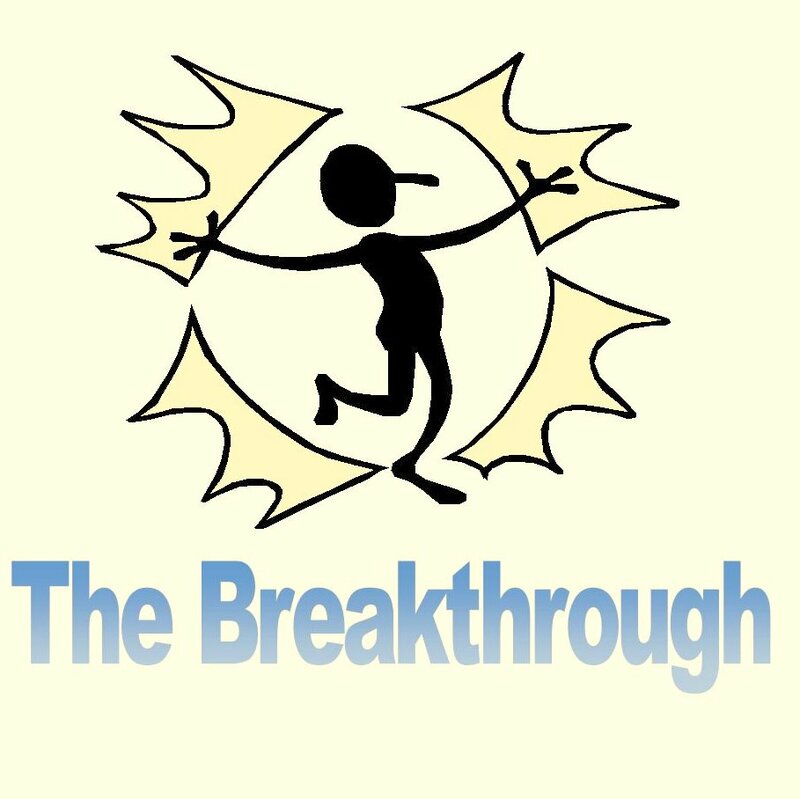 Jdg 7:20 and the three detachments blow with trumpets, and break the pitchers, and keep hold with their left hand on the lamps, and with their right hand on the trumpets to blow, and they cry, `The sword of Yahweh and of Gideon..
Two ways which God considers a breakthrough. It also teaches us the beauty and the accuracy of God’s Word. 2Ki 19:3 and they say unto him, `Thus said Hezekiah–A day of distress, and rebuke, and despising [is] this day; for come have sons unto the birth, and power there is not to bring forth. Psa 42:7 Deep calls to deep through the voice of Your waterfalls; all Your waves and Your billows have passed over me. Psa 88:7 Your fury has lain hard upon me, and You afflict me with all Your waves. Selah. Psa 93:4 Jehovah on high is mightier than the noise of many waters, than the mighty waves of the sea. Jon 2:3 For You cast me into the deep, into the heart of the seas, and the current surrounded me; all Your breakers and Your waves passed over me. In conclusion; both mishber and mishbar originate from the Hebrew root word shabar, which we defined above. Mishber is defined as the physical opening of the mother’s womb. It is the place the where the baby breakthroughs from the invisible into the natural world. Mishbar talks about the large physical billows or waves that we see when the surf of the ocean is up. These are two instances of God’s breakthrough anointing. God calls us to apply both of these principles into our lives by faith and in the Spirit.